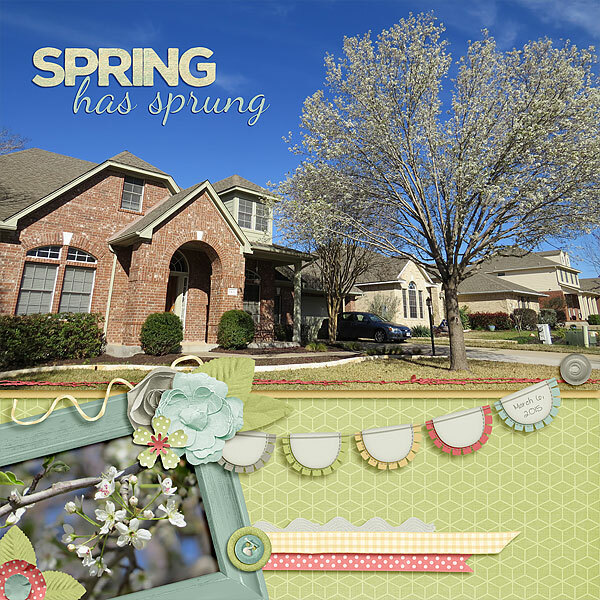 You will love the soft vintage feel of this month’s BNP kit by Scraps-N-Pieces. Heidi and Lori went with a birthday theme for their selections. Perfect for your little ones birthday and so much more. Each part is only $1 each so get them while you can. I have two layouts to share. 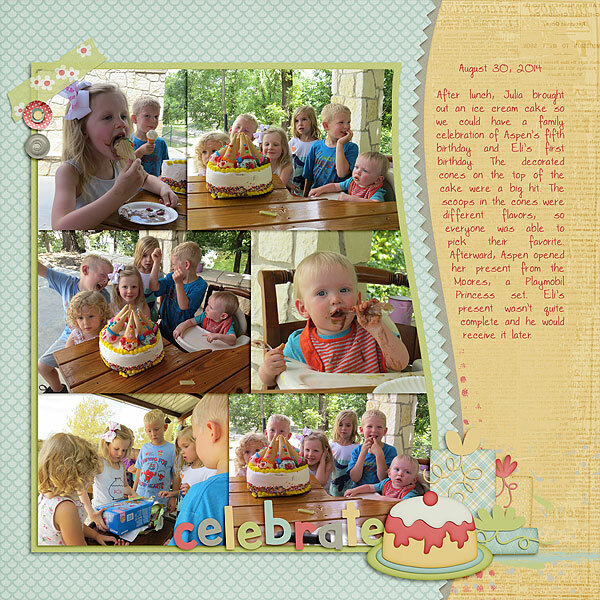 First up is a layout about the family celebration of Aspen’s fifth birthday and Eli’s first birthday. The colors screamed spring to me and I am patiently waiting for the Bradford pear in our front yard to bloom this year, so I scrapped some photos of it last year. Look at these beautiful layouts from the rest of the CT.